Click here to download and print all these resources. 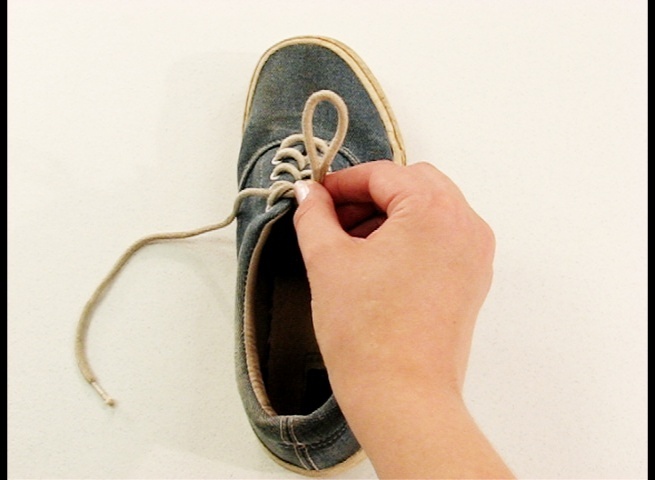 Teaching shoe tying with this Activity App® will generally make teaching shoe tying easier, quicker, and less frustrating for the parent, teacher, and for the child or student. 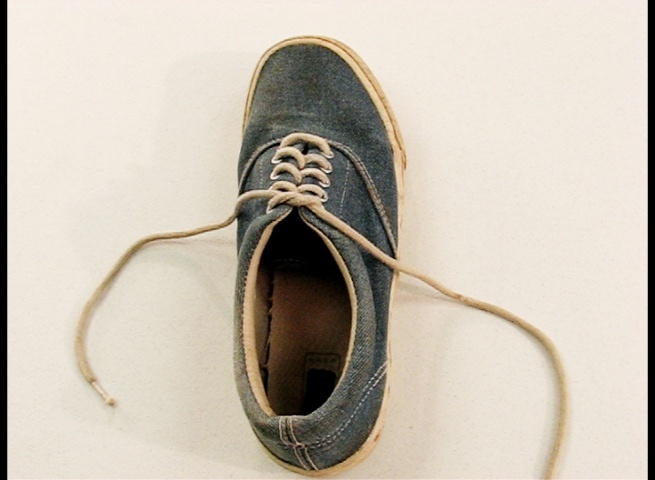 The purpose of this Activity App® is to make it easier and more effective to teach any individual from typically developing young children to very low functioning individuals how to tie a shoe. 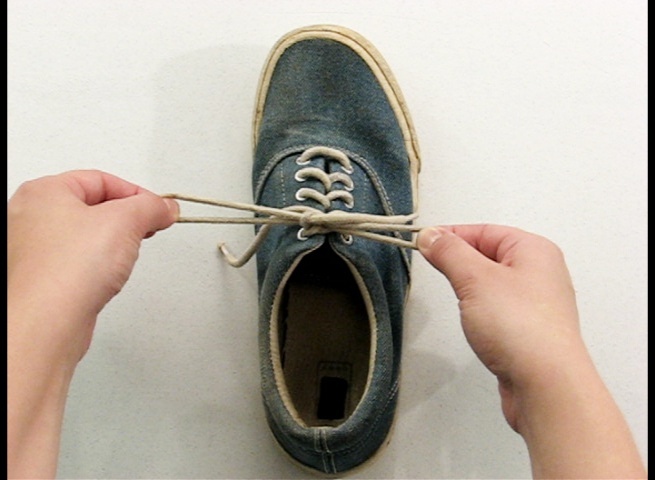 You can teach both the skill and the language associated with shoe tying to facilitate generalizing shoe tying with different shoes and situations. To proceed to the training screen tap the exit button in the upper right hand corner. Deselect the “Show Help at Startup” box if you do not want the help documents to show up every time you launch the application. 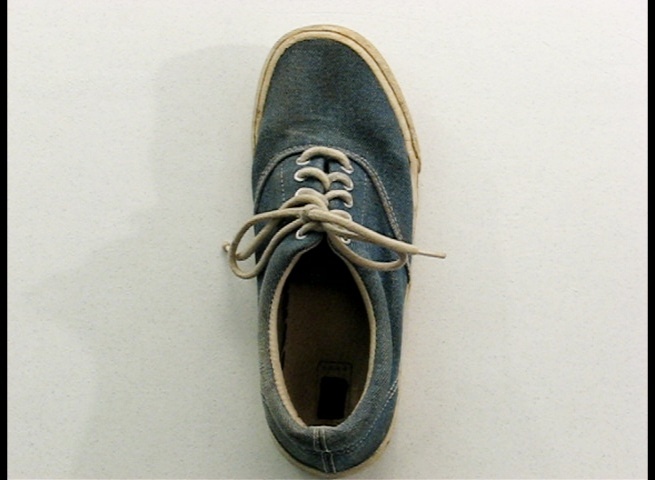 We start teaching a student with a shoe off the foot, on top of a table, and in front of the tablet where the parent/teacher will control the video model and facilitate the student’s success. Let’s look at the Activity App® training screen layout and controls. The activity training screen has one or two video, image, or text display areas across the center of the screen. The information and controls are located across the top and bottom of the screen. This layout allows the teacher access to information and controls associated with the activity and allows the student access to information to cue the student to perform the activity or portion thereof. Controls are hidden, shown, or changed so that the teacher can easily control what the student sees. In this case, while a video is playing, only the Pause and Stop buttons are displayed as those are the only actions appropriate in that situation. Touching the displayed video also performs actions. In the above case touching the video would pause the video. There are a number of ways to present an activity through the teaching process. There is a menu that allows the teacher to select a specific presentation for the student for that trial. The menu allows access to various combinations of video segments, images, audio, and text combined in various ways for a range of educational purposes. The presentation menu will provide you with the currently selected item and you can select any menu item to change the current presentation. The currently selected presentation persists even if the Activity App® is exited. In other words, the next time the activity is started it will remember the presentation from the previous running of the app. The presentation menu will have more presentation names than can be shown at once so you can scroll up or down to access the other options. In the menu, you will find menu items that have abbreviations at the beginning like V, I, A, T, and combinations of them. They stand for V = Video, I = Image, A = Audio, and T = Text. If there is just a V abbreviation displayed with no other abbreviations, this is an indication that only a Video is present (which may include its own audio). If there is a VI abbreviation combination displayed, this is an indication that a video and an image will be shown side by side. If there is an ITA abbreviation combination displayed, this is an indication that the image, corresponding text, and corresponding audio will be shown and heard. If there is a TA abbreviation combination displayed, this is an indication that the text will be shown, and you will hear the audio, but would not see a video or an image. If there is just a T abbreviation displayed, this is an indication that the text will be shown, but not the associated audio. The student will have to read and comprehend the text to complete the step or activity. The presentation menu plays individual presentations or plays “Sequences”. Sequences consist of some number of individual steps. 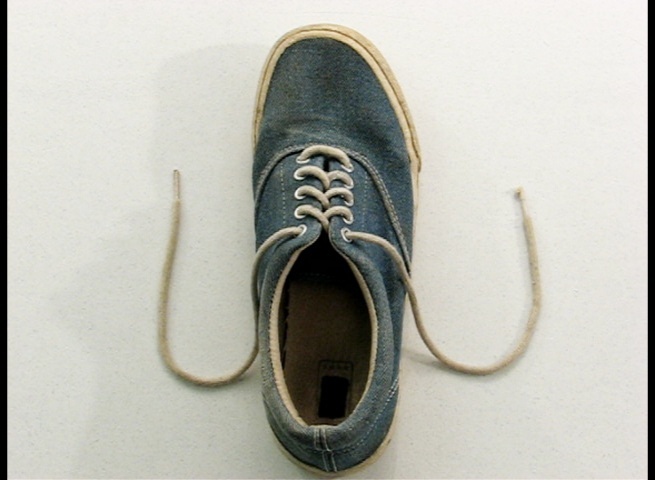 When a sequence is played, one step will be played at a time and the next step is played when the teacher advances to that step by touching the “Page Turner”. By default, the sequence will start on the first item in the sequence menu, which would allow you to start playing the sequence from the beginning to play the full sequence or up until you hit the “Stop” button. You can use the “Stop” button on a specific step to support a teaching method called “forward chaining”. You can also set the sequence to start at a specific step and play from there to support the teaching method called “back chaining”. Refer to the teaching guide for more information on back and forward chaining. To select a different step to start on besides the first step, just open the sub presentation menu off of the sequence and pick the step. There is a presentation indicator in the upper left corner of the screen. This text indicates the current way the activity is being presented to the student. There is a time indicator above the video or image. This indicator displays how long the activity prompt has been displayed for the student. Depending on the situation, this may be useful information to the teacher to indicate if the student is getting better on a step or activity. Either the Stop or Done button is displayed in the upper right hand corner of the screen depending on the state of the activity. Touching the Stop button allows you to stop a video when it is playing. Touching the Done button exits the activity if the activity is stopped. For the iPad you will need to use the Home button to exit the application. The Pause or Play button is displayed below the video and allows you to stop and start the video from a specific point in the video. This allows you to freeze on some detail in the video to help students catch up or improve their approximation of the behavior. You can then touch the play button to continue on from there. Touching the displayed video has the same effect as touching the pause or play button. If the video is playing, touching the video will pause and therefore freeze the image. Conversely, touching a paused video will continue playing the video from that point. The Restart button allows you to restart the current presentation with a single touch. 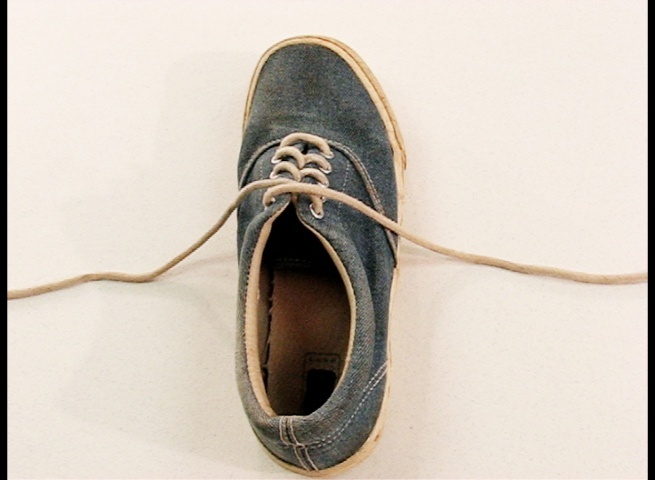 Generally, you will reset the task item (the shoe laces) to the beginning state for the current step or presentation. You will then touch the restart button and assist the student completing the depicted portion of the activity. Successively fade your prompt (physical, gestural, verbal, or proximity) until the student is independent. Refer to the teaching guide for more information on prompts and prompt fading. The Menu button allows you to change the presentation to the student. Simply touch the Menu button and select the presentation you want. The Activity App® will remember the current presentation selected until you change it to something else. This behavior allows you to keep working on an individual step or other presentation until you want to move on to something else. Selecting a menu option will hide the menu and start the selected presentation. If you do not want to change the presentation, just touch outside the menu to hide the menu. The Help button brings up help pages for the activity, Activity App®, and teaching with video modeling. The Page Turner button forwards to the next step if playing a sequence.